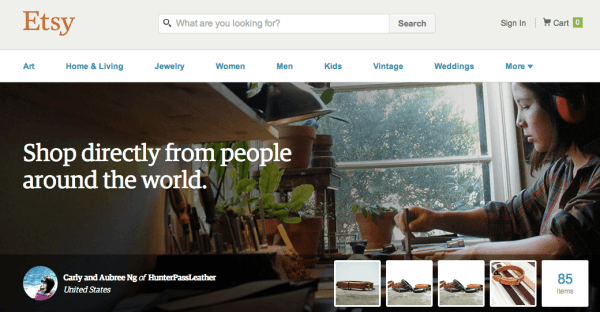 At one point I knew that there were over 800,000 stores on Etsy. But that was a year or two ago. I can’t imagine how many stores are there now. But I know it’s over a million. In the last year or two, one of the most common eCommerce questions I’ve received has been about creating a marketplace. So I thought I’d tell you a bit about how easy it is to do it. Wait – what is a marketplace? A marketplace is just like it sounds. It’s not a single store. It’s a collection of stores. Customers walk in and can browse goods from several different vendors. The first challenge has often been linked to the need to make sure these folks are serious and selling items that you want (or allow) in your marketplace. No one, after all, wants children sold on a marketplace. And while that’s an extreme example, there are many other things marketplace owners may not want to see in any of their stores. The second challenge was often an issue of ease of use. If you’ve ever tried to create an online store at Shopify, you know how intimidating it can be to see a list of settings/options that is 20 items deep. Ugh! And the third challenge was often a financial institution / gateway issue. You needed to make sure that the marketplace got a cut of each interaction, but you didn’t want to do it manually. So you needed a way to track sales, determine commissions, and automatically pay them out. As you can see, asking developers to build these kinds of systems could get you quotes ranging from $4,000 (from someone who either had done it 10000 times before, or alternatively from a naive person who had never done it before), to $100,000 – based on how intricate and complicated you made the vendor application, acceptance and product management processes. Now, before you freak out and tell me that you don’t have $100,000, let me assure you it’s much cheaper now. Also, before you tell me that $100,000 is an insane amount of money to spend on a marketplace, please go find out how much Etsy makes in a month (Hint, they sell over $1 million in products monthly, and take 3.5% of each transaction and charge 20 cents per listing). And you’re saying I can do it on WordPress? Yes. Even though a lot of folks will tell you that WordPress isn’t made for eCommerce, I am telling you that in this very case, it’s incredible. Why? Simple – because the roots of WordPress address some of the ease-of-use challenges I mentioned above. And because the payment gateway work that WordPress vendors have done to integrate with folks like Paypal and Stripe has been fantastic. Most importantly, I’m telling you that you can do it because everything you ever needed is now available to you in the form of a plugin or two, and a theme. While the first version of Etsy took 6-10 weeks (depending on which report you read), you could have your own marketplace up and running in less than 2 weeks. Let’s do some math – just for fun. Assume that only one person works on your marketplace. And they work for six weeks, like the first version of Etsy. And you pay them $25 an hour (which isn’t much). Then you’re talking about spending $6,000. But now you could spend less than that – way less even – and produce something that’s better than the first version of Etsy. 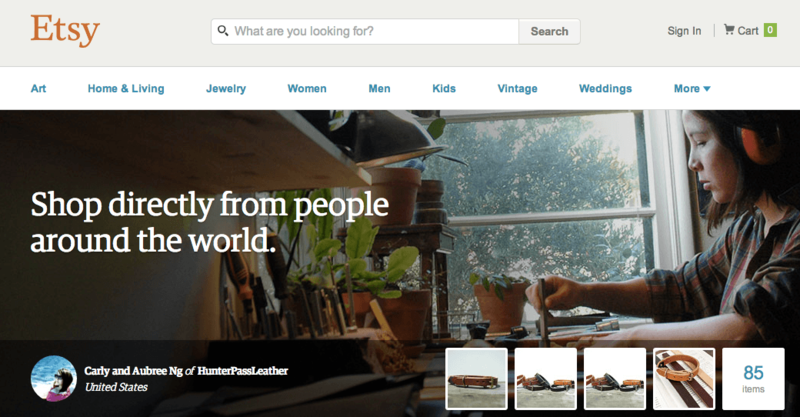 Now, to be clear – and very upfront – you likely don’t remember Etsy in 2007. So you’ll want to build today’s version. I’m not promising you that you can do that for $2,000. But I am saying you can get a version that’s better than the old version for about that. Did you just say I could build an Etsy-like marketplace for less than $3,000? Yes. Yes I did. Much less, in terms of supplies. The labor depends on the rate you pay yourself or your developer. But let me show you how awesome and easy this is. Let’s start with the theme – it’s called Marketify. It’s gorgeous. And it’s only $60. Then you’re going to need some plugins. The first is Easy Digital Downloads – which is (wait for it), free. The other plugins you need are extensions for EDD. And Pippin has been good enough to put them into a bundle for you, making them easier to purchase (and cheaper). It’s only $499. And even a point/reward system to thank people (and keep them coming back). Did you do the math? Here, I did it for you. Is that less than $6,000? Yup. Is it less than even half that – at $3,000? Totally. Has Pippin and his friends lost their minds? I’m pretty sure. But that’s no reason not to take advantage of him and buy them before he comes to his senses. 🙂 Kidding aside – he just wants to make great products and earn a living. Me? I’d charge you thousands more. But wait – that means it’s inexpensive. Not necessarily easy. I have been working on a little project where I’m using all of these plugins and themes. So I was going to shoot a quick video to show you how easy it is to customize and create your own marketplace. I was particularly excited to show you the new changes to the Front End Submission extension (FES) which recently got an upgrade. And then, when I went to look over the release notes of the latest version – to make sure I didn’t miss anything – I found this: a perfectly awesome video that Pippin had already created. So now you can see for yourself how easy it is to use. And if that’s not enough – check out this video that was created by the folks behind the Marketify theme – showing you how easy it is to configure the theme. Get started building your online marketplace today! Really, the only thing I have to say to you right now is simply this – why are you still here? There’s nothing to see here. I’ve given you the links and videos to get you going. At this point, you have to decide if spending less than $250 is a worthwhile investment in building an online marketplace. But wait – don’t answer yet. If you’re willing to spend an additional $29 dollars, you can do even more! Yes, I’m in full pitch mode now! Easy Digital Downloads was always a product designed to do digital distribution – aka allow downloads of digital files. But their latest version of Simple Shipping supports FES. And that means that you can truly create an online marketplace where people buy physical products and have them shipped to them. So you take the $559 we talked about before, and you add $29. And you end up with $588 – which is still under $600.